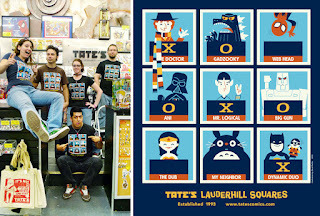 This is a shirt design I did for the very awesome, super cool Tate's Comics in Lauderhill, Florida. 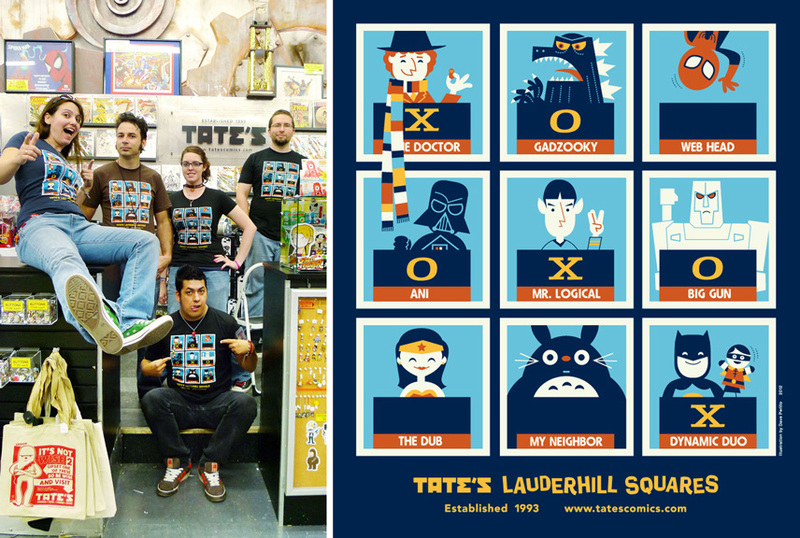 They wanted a Hollywood Squares homage with a cast of pop culture super stars. Shirts are available for purchase via their site HERE! I bought one and it has been halarious to wear. The older generations don't know who is in the sqaures but recognize the gameshow, the younger gens can id everybody but don't get why they are in squares. LOVE IT!! !